> Shelf accessories>LOCKING SHELF DOOR 42"
Fits all 42" wide shelf units. Fits all 42" wide shelf units. Bolts on to the front lip of any shelf unit to provide lockable storage. 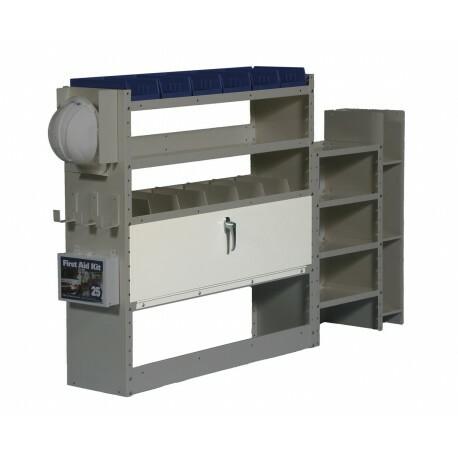 The heavy duty 3/16" thick steel door measures 10.75" high and features a full length hingewith a heavy duty keyed lock. Comes complete with all neccessary assembly and installation hardware, lock and keys.